I had a garden visitor last week that decided he wanted to dine at my garden bistro, despite the food being frozen solid to the garden table for most of the week. 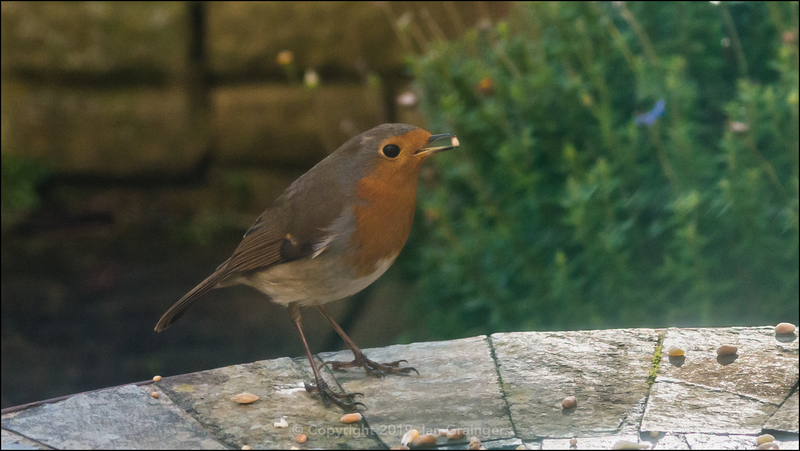 The visitor in question was this lovely little Robin (Erithacus rubecula), who came several times a day for a snack. I grabbed this shot of him through the kitchen window during one of his visits. 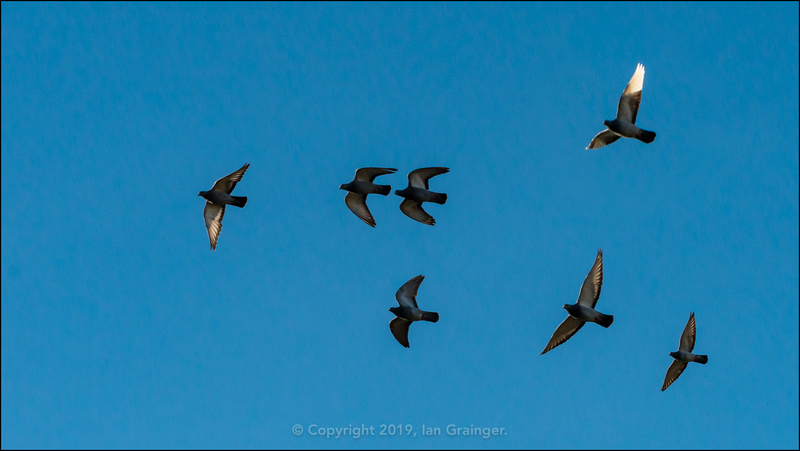 ...and this group of Feral Pigeons (Columba livia) being the two most common sights. 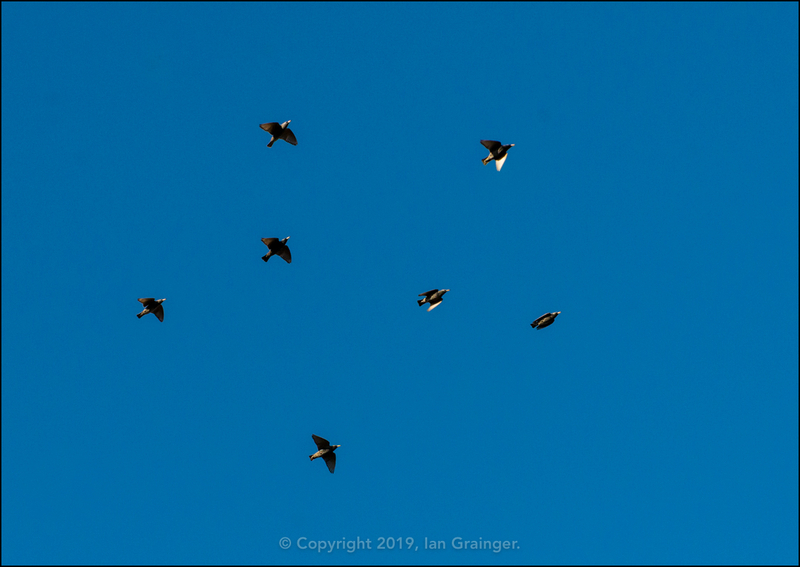 It was a pleasure to see them zooming across such a lovely blue sky. 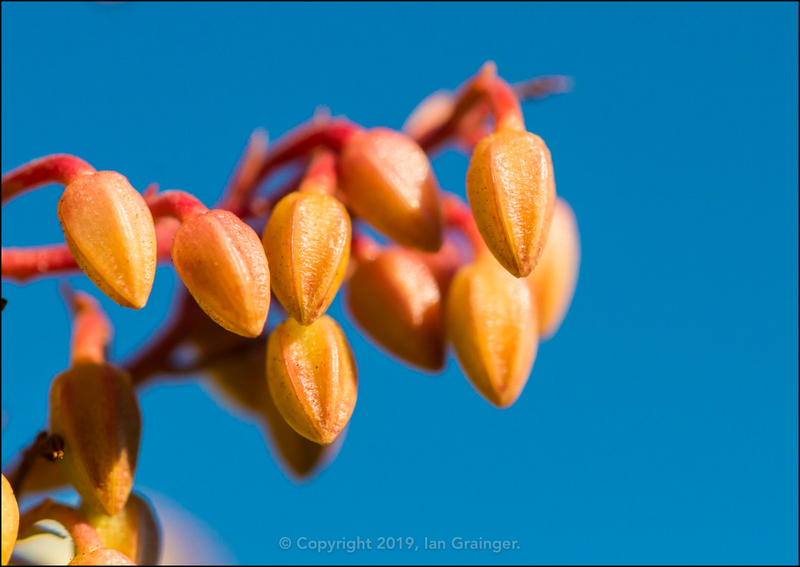 The Forest Flame (Pieris) bush flower buds were still colouring up nicely, and looked rather good against the blue sky. I was getting impatient though, wanting them to start opening soon. 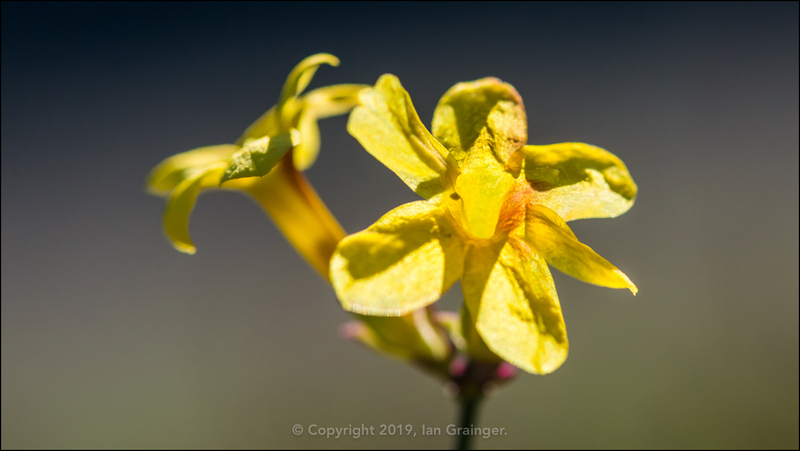 The Winter Jasmine (Jasminum nudiflorum) blooms seemed to be diminishing, although they'd put on a great display since before Christmas. 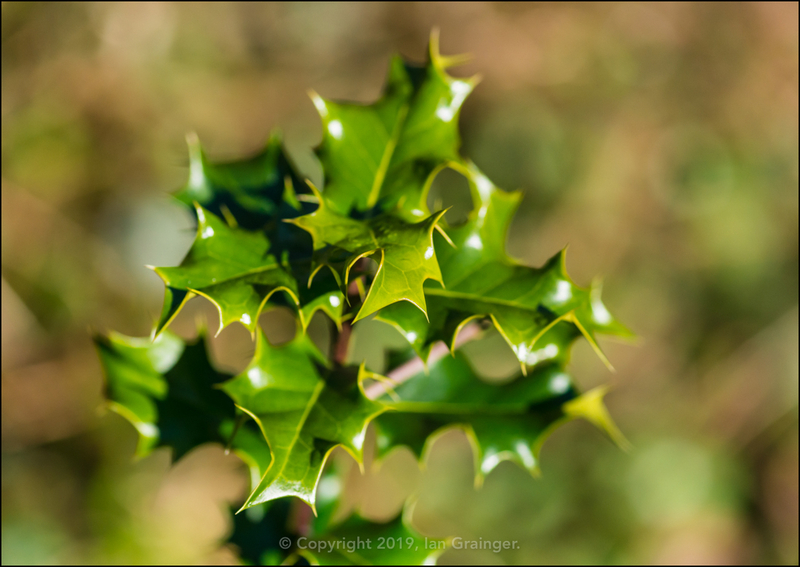 It was nice to see some new Spring growth in the garden, with these new Holly (Ilex) bush leaves appearing. 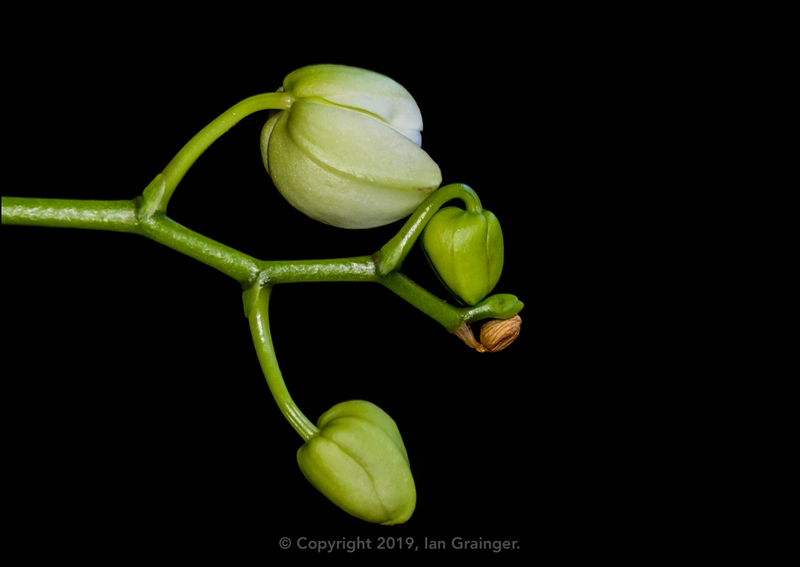 I was disappointed that no berries had materialised from all of the pre-Christmas blossom though. 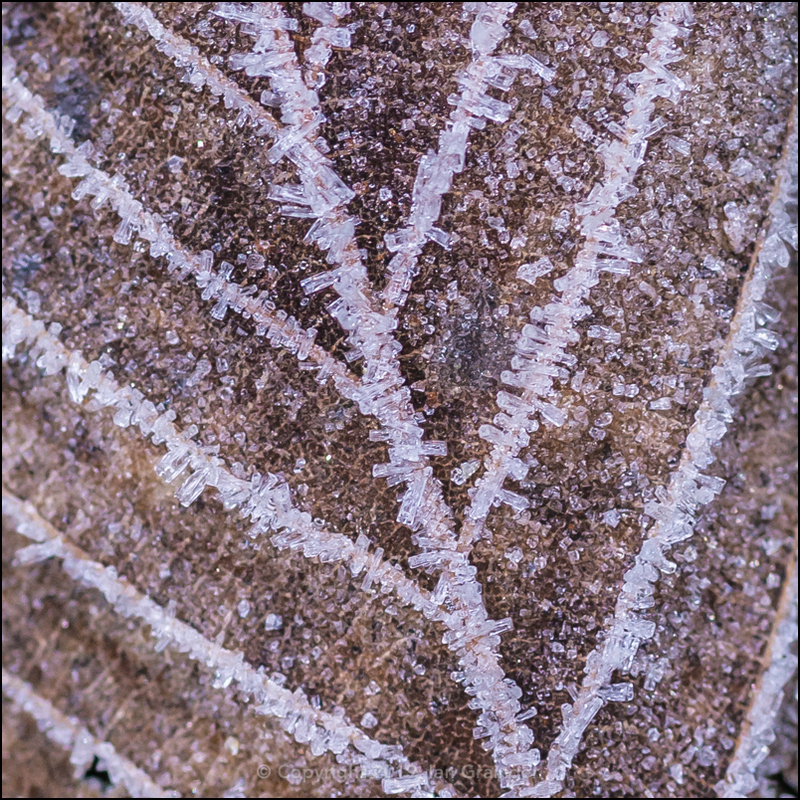 With the blue sky looking so good, it was easy to forget that the ground was frozen underfoot, and there were lots of frosty leaves scattered around the garden. 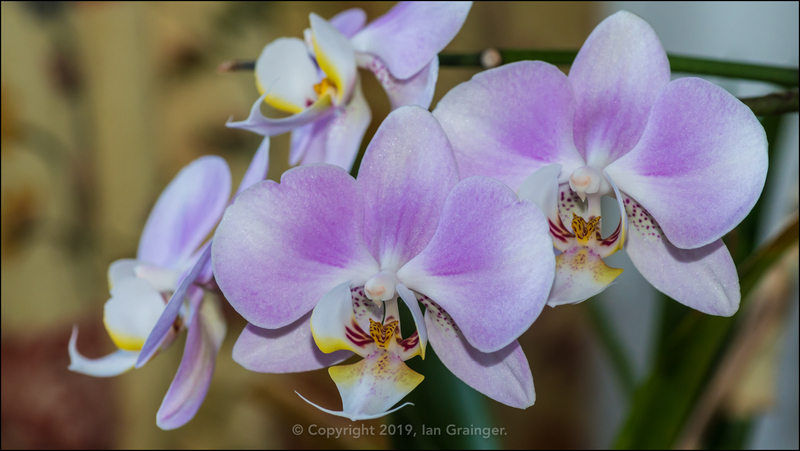 ...while another one was already displaying her blooms beautifully. 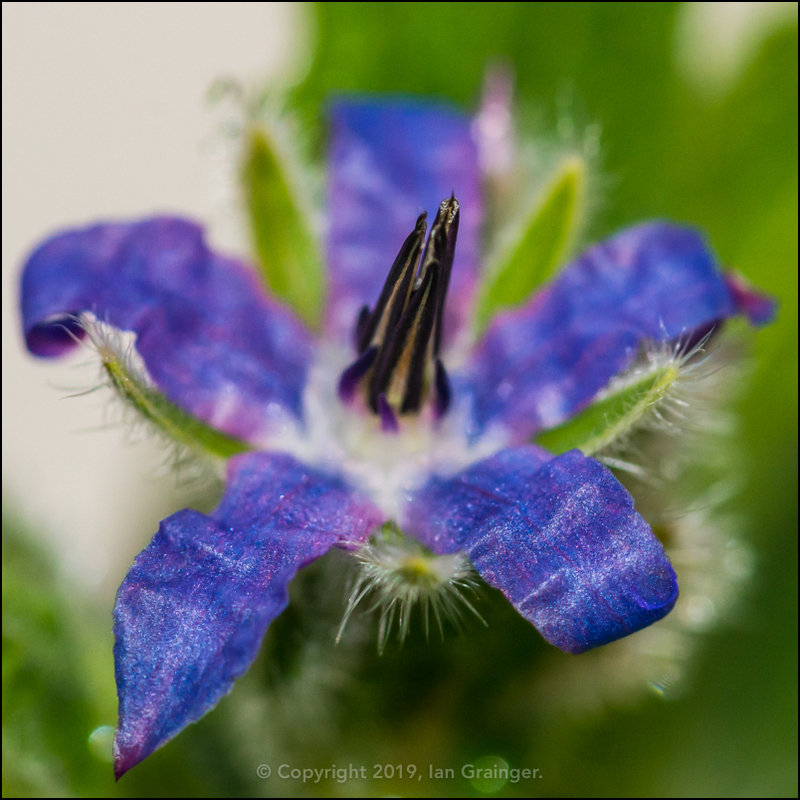 Over in my garden, the unknown hairy weed flower buds I photographed a couple of months ago had finally opened into these beautiful blue blooms. I had no idea what they were, but they were definitely as pretty as any cultivated flower in the garden. Finally, I've dipped into my photo archive to bring you one of my fishy friends. 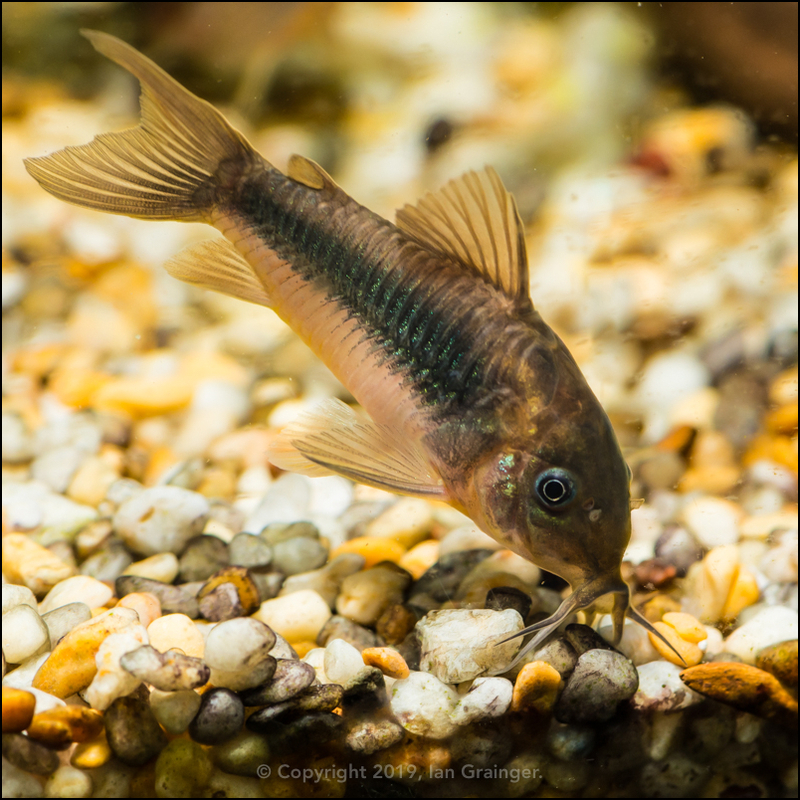 This is a Bronze Corydoras (Corydoras aeneus), searching for food in the gravel substrate. Their barbels are very sensitive, and you must take care to provide them with a smooth gravel or sandy substrate to prevent their magnificent whiskers from wearing away!